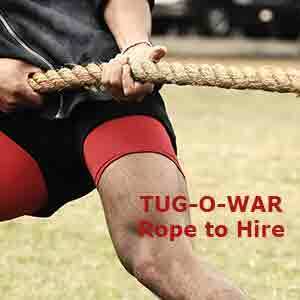 Our tug of war rope is suitable for use by adults or children from age 10 up. 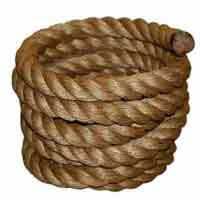 We offer a smaller junior rope which you are welcome to call us about. Great for school fetes, garden parties, stag events, bootcamps and competitions. We supply a general instructions sheet for you to organise your war. 3 strand rope manufactured from Grade 1 manila. Rope ends with heatshrink finish to prevent fraying during use. Supplied in hold-all for easy transport and return. Price includes one day hire or weekend hire. If you require more days, please enter the number of days in the quantity box. Please use the comments box to give us the hire dates you require. We will arrange both delivery and collection but please note that these are limited to Mon-Fri.
Local collection from our shop in Dawlish is available. We will call you for a security deposit of £100. 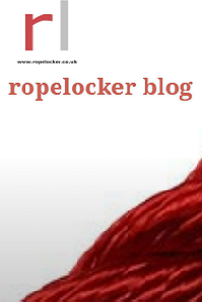 This will be refunded to you upon the safe return of the rope. Sturdy footwear is highly recommended- No studs or spikes though! Please use common sense at all times, ropelocker cannot be held liable for injury or damage to person or property during the hire of this product. Further enquiries: Call us on 01626 906198 if you have any questions.